Solar Records Archives - Page 3 of 9 - Solar Love! Recently, SolarCity announced it will begin manufacturing the “world’s most efficient solar panels” at its factory in Buffalo, New York, starting in 2016. It claims it has designed a panel that converts 22.1% of sunlight into electricity. Now, less than a week later, Panasonic says it has trumped that achievement. A Panasonic solar panel has established a new world record module conversion efficiency of 22.5% on a commercial sized prototype using solar cells based on mass production technology. The test results were confirmed by the renowned Japanese National Institute of Advanced Industrial Science and Technology. The 72-cell, 270-watt prototype incorporates newly developed enhanced technology that will eventually be scaled into volume production. “The new panel efficiency record demonstrates once again Panasonic’s proven leadership in photovoltaics and our ongoing commitment to move the needle in advanced solar technology,” says Daniel Roca, senior business developer at Panasonic Eco Solutions Europe in a company press release by Panasonic Electric Works Europe AG. Panasonic also says it is introducing the HIT® N330, the latest addition to the company’s high-efficiency hetero-junction photovoltaic module product line and its most powerful photovoltaic module to date. It will be available in the UK and other European markets starting in March, 2016. 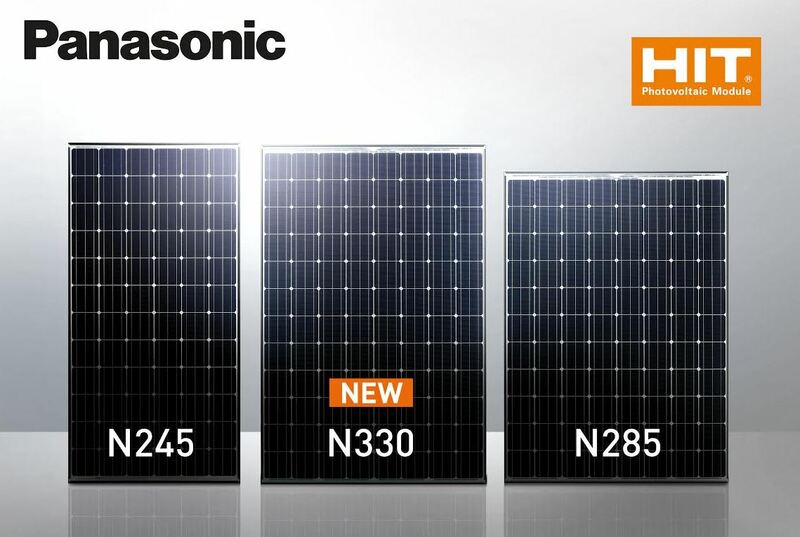 Manufactured at Panasonic’s state-of-the-art, vertically integrated solar fabrication facilities in Malaysia, HIT® N330 features 19.7% module-level efficiency and a nominal power output of 330 watts. The new 96-cell module returns approximately 27% more peak-power compared to mainstream 260-watt multi-crystalline modules. Because of the increased power for the same number of modules and roof area, installers will have significantly lower system costs on residential and commercial installations by using panels with the N330 array. Between the SolarCity announcement and the one from Panasonic, it is clear that the future of solar power is only going to get brighter over time as manufacturers figure out how to get even more electricity from a given area of solar panels. Lists are always fun, so here are 12 solar facts to put in your notebook so you can share the important stuff with anyone who’s interested. I have divided this list of facts into four categories that might help you to better keep track of things. Photovoltaic Design & Installation For Dummies, by Ryan Mayfield. Age: Estimates calculate our sun is 4.6 billion years old, ands will continue burning its hydrogen fuel for another 5 billion years. Will it eventually burn out? Yes, of course — we all learned that in elementary school, right? For those fretting about the lifespan of their PV system’s power source, don’t worry. Closeup Inspection: The NASA video below is worth seeing. In it, we learn that hydrogen is fused into helium in the core of the sun. Solar Ignitors: Historian John Perlin provides this information gem: During the sixth century BCE, Confucius wrote about the common use of curved mirrors shaped from shiny metal to concentrate the rays of the sun for making fire. These became known as yang­­-suis ­­– translating to solar ignitors or burning mirrors. According to the great philosopher, upon waking up, the eldest son would attach a solar ignitor to his belt as he dressed for the day. It was his duty to focus the solar rays onto kindling to start the family’s cooking fire. Photovoltaics’ Discovery: Willoughby Smith’s 1872 experiments that proved the photosensitivity of selenium stirred keen interest in two British scientists, William Grylls Adams and Richard Evans Day, to discover something previously unknown to science – that a current could be started by the action of “light alone” in a solid-state material. The two scientists called the flow of electricity caused by light, “photoelectric.” Today, we say, “photovoltaic.” So began in 1875 the first stirrings of today’s solar revolution. Concentrated Solar Power: Concentrated solar power (also called concentrating solar power, concentrated solar thermal, and CSP) systems generate solar power by using mirrors or lenses to concentrate a large area of sunlight, or solar thermal energy, onto a small area. The heat is what is used to eventually spin a turbine and generate electricity (very different from how solar PV generates electricity). Solar US Growth Spurt: From 2006 to 2013, the number of homes with solar power grew by more than 1,000 percent in the US, from 30,000 home to 400,000 homes. Cost Of Solar: The lowest electricity price ever bid by a solar developer was 0.1875 Riyals ($0.049) per kilowatt-hour (kWh) by the Saudi Electric Company in Saudi Arabia in August 2015. That’s far less than the average price of electricity from natural gas or any other electricity source in the region. There is plenty more that can be added to this list, but I hope this is a great starting place for understanding this stunning renewable energy source. The United States connected a total 487 MW of wind and utility-scale solar capacity to the national grid in August, according to new figures released by the Federal Energy Regulatory Commission. The Federal Energy Regulatory Commission (FERC) released its latest Energy Infrastructure Update for August (PDF) this past week, in which the governmental agency revealed that of all new electricity generation in-service for the month of August, wind had installed 2 projects totalling 249 MW, while utility-scale solar had installed 10 projects totalling 238 MW. In fact, wind and solar were the only new generation capacity added in August, and, alongside natural gas, one of the three major drivers of new electricity generation capacity for the whole of 2015 to date. For the period January to August 2015, natural gas has seen 29 new projects totalling 2,524 MW of installed capacity, wind with 22 projects totalling 2,368 MW, and solar with 123 projects totalling 1,034 MW. Worth noting, however, is that only wind installed more capacity over the first eight months of the year in 2015 than it did in 2014, with both natural gas and utility-scale solar falling well behind their 2014 installation figures. North Carolina has surpassed 1 GW of installed solar capacity, the fourth US state to do so, according to the North Carolina Sustainable Energy Association. The North Carolina Sustainable Energy Association (NCSEA), a local nonprofit dedicated to promoting North Carolina’s renewable energy industry, announced the milestone in a press release (PDF) last week, having reached 1.04 GW of installed capacity as of September 24. 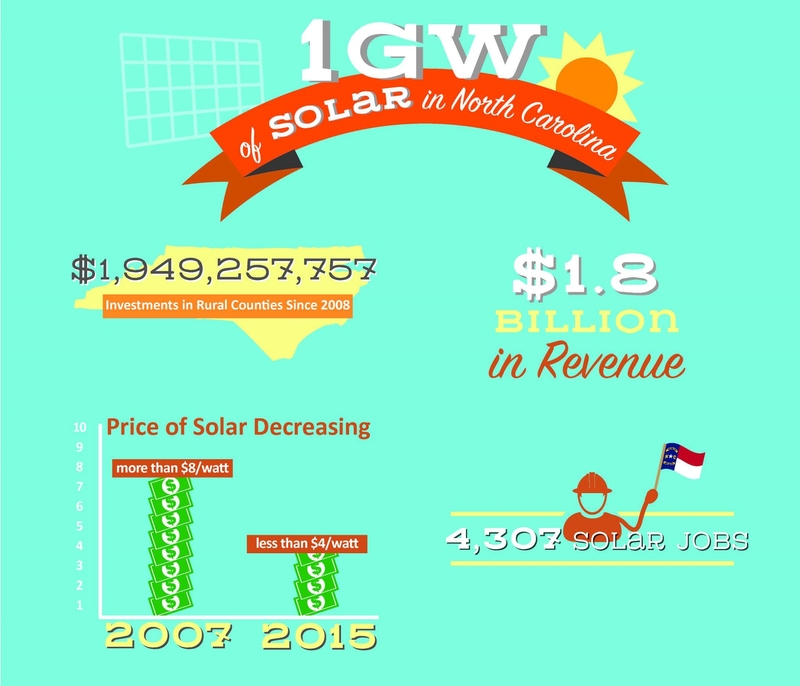 North Carolina’s 1 GW milestone places it behind California, Arizona, and New Jersey to reach the goal. “Solar has been a fantastic economic driver in North Carolina’s clean energy industry for the past several years, and reaching one gigawatt is the latest impressive milestone for this growing market,” said Robin Aldina, NCSEA’s Manager of Energy Research. The NCSEA places much of the credit for the state’s successful solar industry at the feet of its strong energy policies, which include a Renewable Energy and Energy Efficiency Portfolio Standard (REPS) and a Renewable Energy Investment Tax Credit (REITC). UK developer PS Renewables has claimed the UK solar industry has reached grid parity for large-scale solar farms. Specifically, PS Renewables is building the Eveley Solar Farm in Houghton, Hampshire, in the UK, which is one of the current and future projects under PS Renewables’ wings that will provide energy under new Power Purchase Agreements (PPA) PS Renewables is negotiating. Approved by Test Valley Borough Council on 27th July 2015, the Eveley Solar Farm is set to begin construction soon, and will take around 5 months to build, at which point it is expected to be able to generate the equivalent electricity necessary to power 12,000 average homes. The US solar industry installed 1,393 MW of solar PV in the second quarter of 2015, pushing the country’s total cumulative capacity past 20 GW. The news comes courtesy of the new Q2 2015 US Solar Market Insight Report, published by GTM Research and the US Solar Energy Industries Association (SEIA). 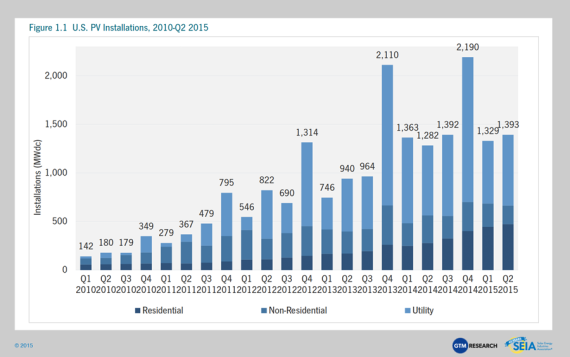 Published on Tuesday, the report highlighted the “record-breaking trajectory” of the US solar industry. The report also highlights the fact that 40% of all new electric generating capacity brought online in the first half of 2015 in the US came from solar. 21 states throughout the country now have more than 100 MW of solar PV capacity, though the top five states in terms of solar capacity account for nearly ¾ of the total US cumulative PV capacity. 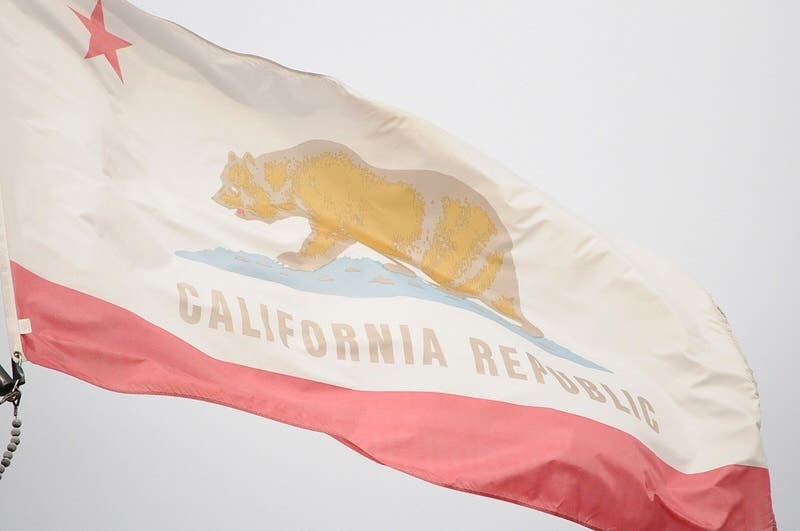 The state of California has achieved a new electricity generation peak record for utility-scale solar energy, according to recent reports. The new record of 6.391 gigawatts (alternating current, not direct current) was achieved on August 20, 2015, according to California’s grid operator. This figure refers to both utility-scale solar photovoltaic (PV) projects and concentrating solar power (CSP) projects. While the 6.391 GW figure includes both utility-scale solar PV and CSP projects, it doesn’t include the output of distributed solar energy system output (so-called “behind-the-meter” electricity generation). GTM Research has previously estimated a figure of 3.2 GW of total distributed solar system capacity in California for Quarter 1, 2015 — so, assuming that’s correct, and that peak generation sometimes approaches peak capacity for distributed, then the total peak figure could actually be as much as 50% higher. The recent peak figure follows earlier records of 6.299 GW and 6.16 GW; set on July 13 and June 7, respectively, as well as numerous new records set over the last month and a half. These new records follow a fairly rapid solar energy buildout in recent days, as part of the state’s renewable energy growth goals. Note that these records just keep being set, and we reported on the August 2014 4.813 GW and October 2014 4.903 GW solar records. You can see how fast solar is growing in California! As the goals of the incumbent governor (Governor Jerry Brown) call for the Pacific state to receive at least 50% of its electricity via renewable energy resources by the year 2030, the constant flow of new records are encouraging. With regard to the recent record on August 20, the state’s grid operator noted that, while solar and wind energy generation shifted the peak in the net load by a few hours, this rise was relatively smooth, with wind energy output rising as solar energy generation faded. Cochin International Airport Limited in Kochi, Kerala (India) has become the first airport in the world to be powered entirely by solar power. A 12 MW solar PV plant, spread over 50 acres, was inaugurated two days back near the airport’s cargo complex. The power plant took 6 months to complete and has come up at a cost of ₹620 million ($9.5 million). Technically speaking, the airport is now grid neutral, as it will give back more than it consumes from the grid. The newly installed solar power plant can generate between 50,000 to 60,000 kWh per day. The airport has another 1 MW solar PV plant in addition to a smaller grid-connected 100 kW rooftop system, both of which were installed in 2013. The electricity generated from the system will be fed into the power grid and the airport will use equivalent power from the utility. The plant is expected to produce much more than what the airport would consume, and for this purpose a PPA has been signed with Kerala State Electricity Board to sell any surplus power. The 12 MW system was executed by Bosch’s Energy and Building Solutions team in India. This is the largest project for the company to date. Official figures from China’s National Energy Administration have shown that the country only installed 7.7 GW of new solar in the first half of 2015. The National Energy Administration (NEA) also admitted that congestion on the grid caused by a higher share of solar energy forced 9% of total installed solar PV to sit idle for the first 6 months of 2015. The official figures show that China installed 7.73 GW of solar in the first half of this year, made up of 6.69 GW of utility-scale solar and the remaining 1.04 GW from distributed solar, but none of this is very surprising, according to experts. Such stories shine a new light on past stories, therefore. In April, China revealed that it had installed 5.04 GW of new solar in the first quarter of the year. If this is the case, then only 2.69 GW was installed in the second quarter, with no real way to measure what of that was left idle or actually connected and used. And vibrant is exactly how one would describe China’s solar market. But does the sector has “assured growth?” You bet. PV Magazine recently reported that China, as part of its 13th five-year plan, is considering a solar target of 200 GW by 2020. If you have been following recent reports, that’s the milestone globally installed solar PV capacity is expected to cross in the (very) near future. In 2009, while drafting its 12th five-year plan, China had envisioned a solar goal of 5 GW. That too by 2015. And we all know how that went! Following several rounds of revisions, the target for the 12th plan was finally hiked to 35 GW. However, by the end of Q1’15, China’s total cumulative solar power capacity had already reached 33.12 GW. With the annual target for 2015 set at 17.8 GW, the question to ask is not whether China will meet its current five-year goal, but by how much it will exceed it. China is expected to cross 45 GW — 20% higher than its national target — and overtake Germany (in terms of installed capacity) in the process by this year’s end. Coming back to the 13th five-year plan, China’s National Energy Administration (NEA), which is the nodal government agency in the matters of energy policy, has chalked out a 100 GW target for solar PV by 2020. However, it is widely speculated that when the plan is actually announced, this would be raised to an optimistic 200 GW. A recent study published by Energy Research Institute and the State Grid Energy Research Institute expects that, under a high-penetration scenario, renewables will meet 57% of its power needs in 2030, growing to 86% renewables by 2050, all at the same time as China’s economy grows sevenfold. The report forecasts that solar power in China will reach a capacity of 157 GW by 2020, and cross 1000 GW by 2030. Let’s say China reaches 45 GW by the end of 2015. The country would still need to install more than 30 GW of PV capacity each year. Apart from the investment of $30–35 billion per year, this would require vast tracts of suitable land and rooftops and sorting out its grid infrastructure woes. NEA is expected to submit its revised plan to the state council next month. We will keep you posted.